Some highlights included throwing up on the bus on the way to work and catching it in my scarf as the driver wouldn’t let me off. Retching so hard I would lose bladder control. At home and out and about – HG does not give a monkeys! This was daily, and I still carry spare knickers in my handbag now just in case. Losing 5 kilos from my pre – pregnancy weight and being complemented on my contour – no those cheekbones are protruding not designed! Having no appetite and reaching a point where my weight loss was being remarked upon was beginning to trigger my anxiety. I thought I had kicked that to the kerb the year before but I could feel it returning. I was also developing fear of food, nothing stayed down and physical fatigue from retching (bleeding in my throat at this point along with mouth ulcers) and every stomach muscle wrought. It just wore me down immensely. If I can’t handle this, then was I really capable of bringing a new vulnerable and dependent human into the world? 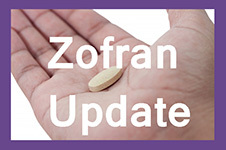 I used the Internet to research severe morning sickness, and the HER Foundation and their Twitter feed came up. Was this me? Could I count myself amongst the #HGMoms? After another 4:00 am spewing start, I couldn’t cope anymore. I called my GP as soon as they were open and was seen immediately. She listened, was empathetic and swift in her medicinal and lifestyle recommendations. Trusting me to stay at home she signed me off instead of booking me into hospital. Without the HER Foundation forums, Twitter, Facebook platforms, and my GP I would have resigned myself to this unmanageable way of being. I’ve been really lucky with love and encouragement from my partner. The advice pages from the forums helped explain my condition to my employers, and I’ve found the HG has calmed right down. My scans show a healthy, appropriately sized baby growing and due in May. We can’t wait to meet him! Emma Paget can be found in Aberdeen, Scotland, or on Twitter @FrenchieBonBon. 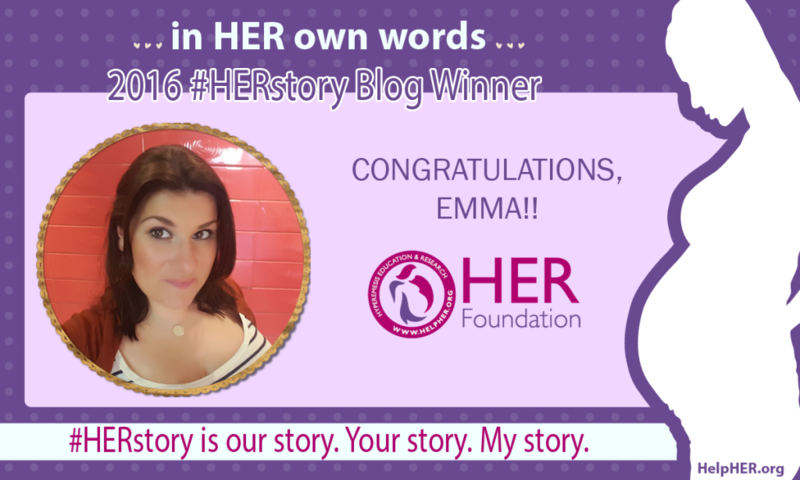 Emma, congratulations for winning the #HERstory Blog Contest’s February vote. This entry was posted in Mom Stories by Suzanne Drapeau. Bookmark the permalink.